Ramona Bhatia, ’13 GME, ’07 MD, adjunct assistant professor in Preventive Medicine, studied data from 14,000 adult men with HIV to identify testosterone replacement therapy rates. Despite possible negative health consequences, testosterone replacement therapy has grown 12-fold in the last decade and become a billion dollar global industry. A new Northwestern Medicine study found that testosterone replacement in the United States is more than twice as common among HIV-infected men than has been reported in the general population. Testosterone deficiency is a known complication for men with HIV, causing symptoms such as muscle mass loss and fatigue. But replacement therapy has been associated with heart attacks and blood clots, among other side effects, in the general population. Studies show that HIV-infected men already have an increased risk of heart attack, highlighting the importance of monitoring testosterone replacement in this specific population. 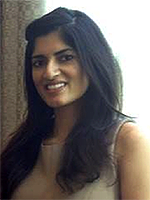 “Moreover, we found that HIV-infected men were not getting the recommended blood tests to determine if they even needed testosterone replacement in the first place and, later, if they were achieving the target level of testosterone in the body once replacement was started,” said first author Ramona Bhatia, ’13 GME, ’07 MD, adjunct assistant professor in Preventive Medicine. The investigators analyzed data from a cohort of about 14,000 adult men with HIV collected by the Centers for AIDS Research Network of Integrated Clinical Systems. About 10 percent of men in the sample were on testosterone replacement therapy at any time. Their rate of testosterone initiation was 2.5 times higher than that reported in U.S. adult men overall. The findings were published in the journal AIDS. Only 24 percent of the sample had laboratory tests confirming testosterone deficiency, and 25 percent received guideline-recommended monitoring after therapy began. Dr. Bhatia notes that patients from the general population also do not always get adequate blood tests. “In a broader sense, this calls for HIV providers, and all physicians, to critically examine who they are prescribing testosterone to and for what reason, in order to minimize risks from a potentially unneeded medication,” she said. Dr. Bhatia speculates that some physicians may not receive appropriate training to prescribe hormone therapy and might be unaware of testing guidelines. Further research is needed to explain the consequences of higher testosterone replacement rates among HIV-infected men. This study was supported by the National Institutes of Health (NIH) Office of AIDS Research Creative and Novel Ideas in HIV Research Award; NIH Centers for AIDS Research grant 60032569; NIH National Institute of Allergy and Infectious Diseases grants R24 AI067039, P30 AI027757 and P30 AI50410; and NIH National Center for Advancing Translational Sciences grant KL2 TR000421.